Synopsis: Business is slow at the No. 1 Ladies’ Detective Agency, so slow in fact that for the first time in her estimable career Precious Ramotswe has reluctantly agreed to take a holiday. The promise of a week of uninterrupted peace is short-lived, however, when she meets a young boy named Samuel, a troublemaker who is himself in some trouble. Once she learns more about Samuel’s sad story, Mma Ramotswe feels compelled to step in and help him find his way out of a bad situation. Review: I've loved Mma Ramotswe and her sidekick, Grace Makutsi, for a long time. Their adventures have always entertained me. Unfortunately, it may be time to bid Mma Ramotswe, Mma Makutsi & JLB Matekoni a fond farewell. It's rare that I continue reading a book that hasn't caught my attention by page 50. Since I read this on my trusty Kindle, I wasn't sure of how far I was into it when I realized it wasn't holding my attention. To my surprise, I was almost halfway through the book and was fighting hard to keep from nodding off. Mind you, I wasn't reading in bed late at night, I was on my lunch hour. That should give you some idea of just how slow moving and uninteresting the first 40% of the book was. Eventually things picked up and I was treated to Mma Ramotswe's meddling ways and Mma Makutsi's always ruffled feathers, but even that wasn't enough to save the overall story line. The men that work in JLB's car repair shop always provide a dose of humor, but their antics were lacking and they were sorely missed by this reader. 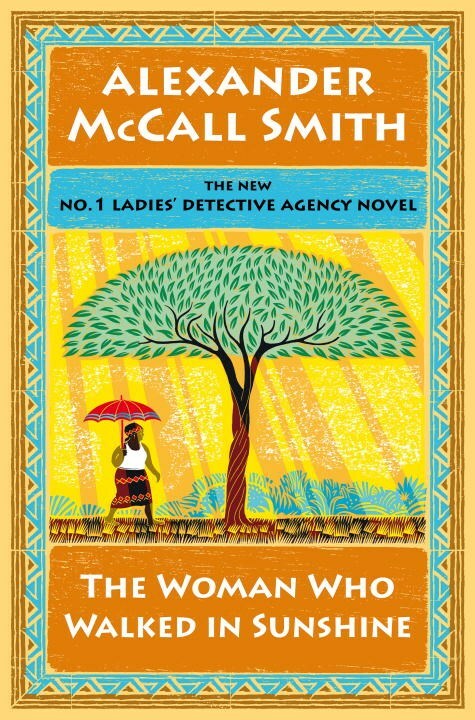 All good things must come to an end and, at book 16, perhaps it's time for Smith to turn his focus to one of his other series and let Mma Ramotswe and friends peacefully fade away.